FYI, despite last week's loss at Wisky, Lunardi still has OSU a 2-seed, playing in Dayton. 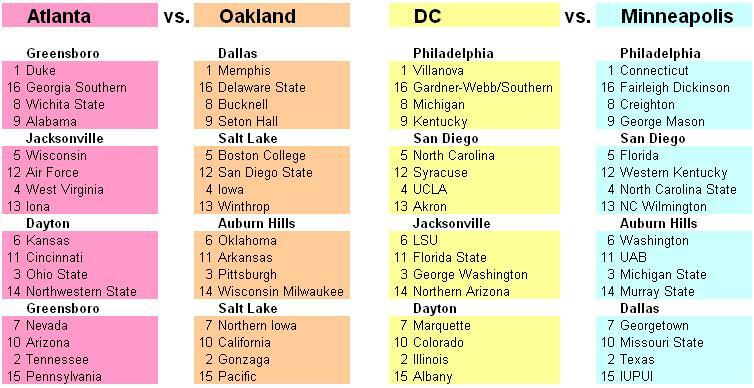 Also, some blogger has a "bracketology 101" site up, which seems to smack of copyright infringement, but hey, whatever. This dude has OSU a 3-seed ... uh, also in Dayton. Huh-WHA? Aaaand more: from USAToday and CBS Sportsline. If Ohio St wins, does anyone care?